The 'T-Town: Play, Explore, Learn' City Services Expo is a FREE, fun, interactive community event hosted by the City of Tacoma featuring demonstrations and activities for the entire family. The event is part of an ongoing effort to enhance the community's knowledge about the services delivered by the various departments at the City of Tacoma, educate the community about how City government works, and offer opportunities for community members to share ideas and feedback about how the City should utilize its resources. 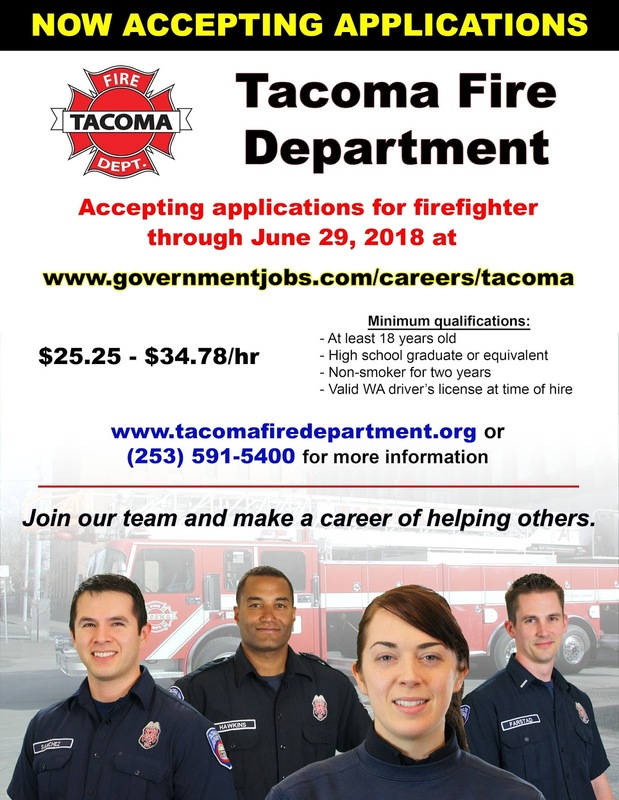 TFD is currently accepting applications for entry-level Firefighters, March 5-June 29, 2018. 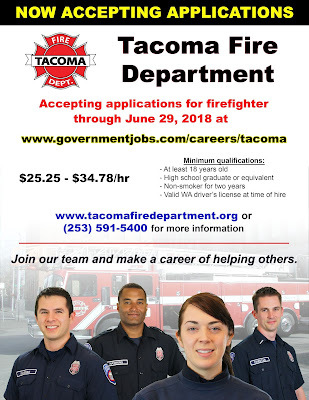 Tacoma Fire Department (TFD) is currently seeking candidates interested in serving our community as firefighters. This is your opportunity to join one of the most progressive, innovative and dynamic fire departments in the region. If you would like to become a member of the TFD team, check out the details and complete the online job application.